Working as a travel agent affords me the opportunity to attend different destinations to explore so I can better serve clients. Our agency, Centre Holidays, had put together a travel agent conference in Punta Cana, Dominican Republic, in September to bring together travel agents from all over Canada, including British Columbia, Alberta, Saskatchewan, Manitoba and Ontario to network and to learn from each other. At the beginning of September, we were battling the effects of Hurricane Irma, rebooking clients whose vacations were impacted by the hurricane to different destinations. For ourselves, we were not sure if our initial travel plans would proceed because of Hurricane Irma and Hurricane Jose on her tail. Our head office confirmed that the conference would proceed as planned; our flights were not affected, so our travels were a go! It was at that point a few of us agents were lamenting as we felt helpless and thought we should do something more to help the people of the Dominican Republic. One agent, Donna McGougan, suggested Pack for a Purpose, as she often brings extras with her for her own travels and brings it to the attention of her clients to participate if they so choose. 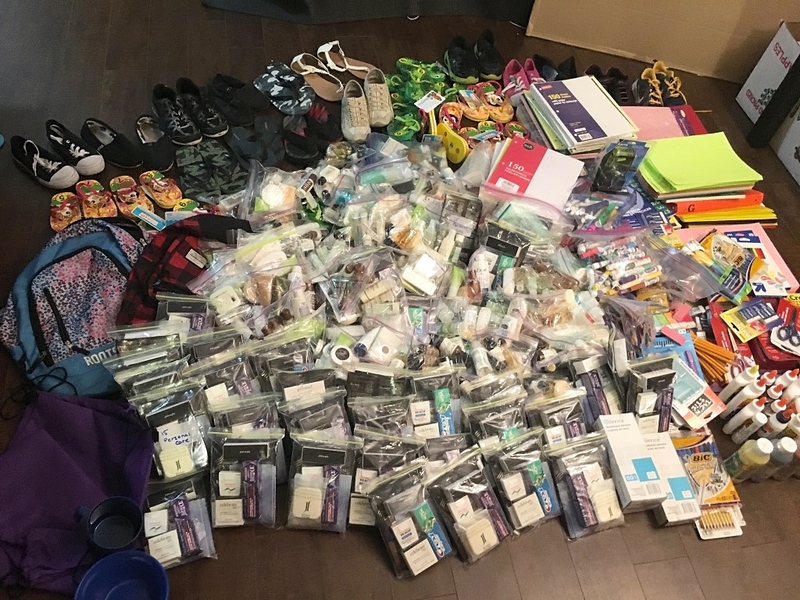 We all decided that we would bring some extras with us to help support the projects in the Punta Cana area as listed on the Pack for a Purpose website and would collect the supplies they requested. 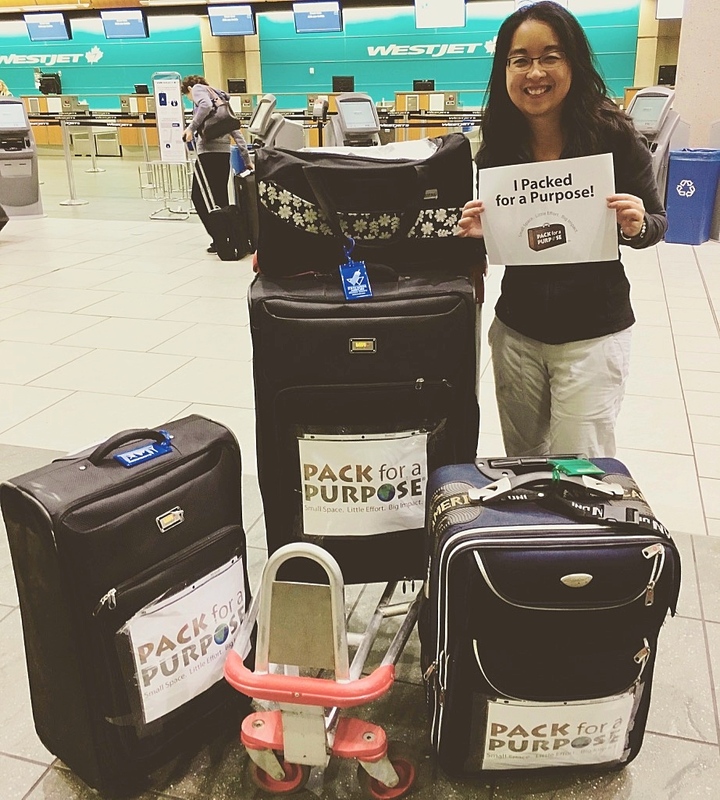 Initially, I was planning on filling up one checked baggage full of supplies because I had the space and asked a few friends if they had any extra supplies for me to bring. I was leaving in less than 72 hours so I was just going to bring whatever I could gather. I am amazed at the generosity of my friends who wanted to support my efforts and was able to collect 180 lbs of supplies in just 48 hours! 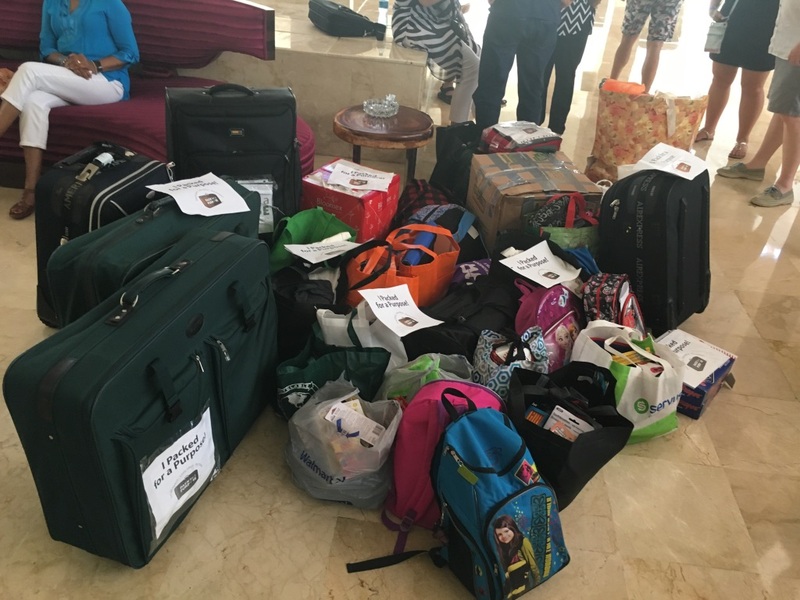 One bag stretched into four bags of checked luggage full of school, sports, medical and personal care products. Luckily, I was flying with Westjet Airlines, a Canadian airline with a heart of gold, which permits one humanitarian baggage per person. Because we were travelling in a group, we were able to bring extra bags of supplies with us for our trip. We brought the suggestion to the rest of group travelling to whomever wanted to participate and bring some extra supplies to donate. 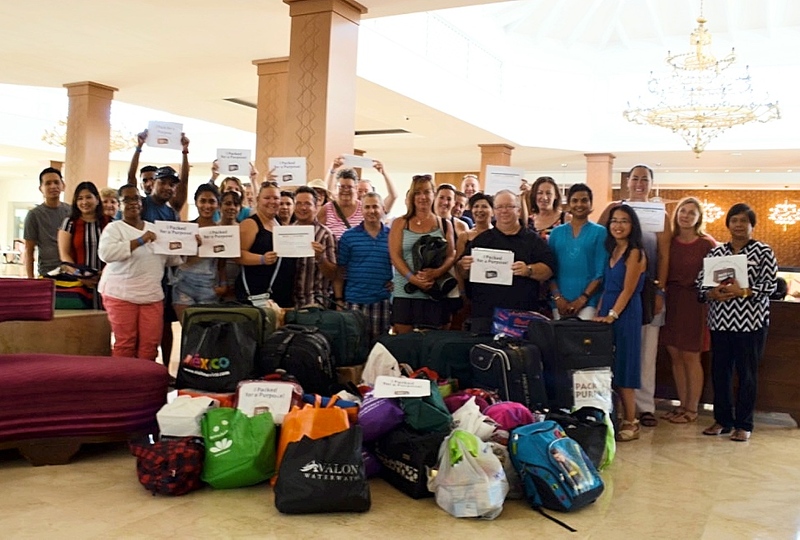 Between a group of 60 travel agents from Centre Holidays, we were able to collect a substantial amount of supplies within one week to donate to the schools and projects in the Punta Cana area. 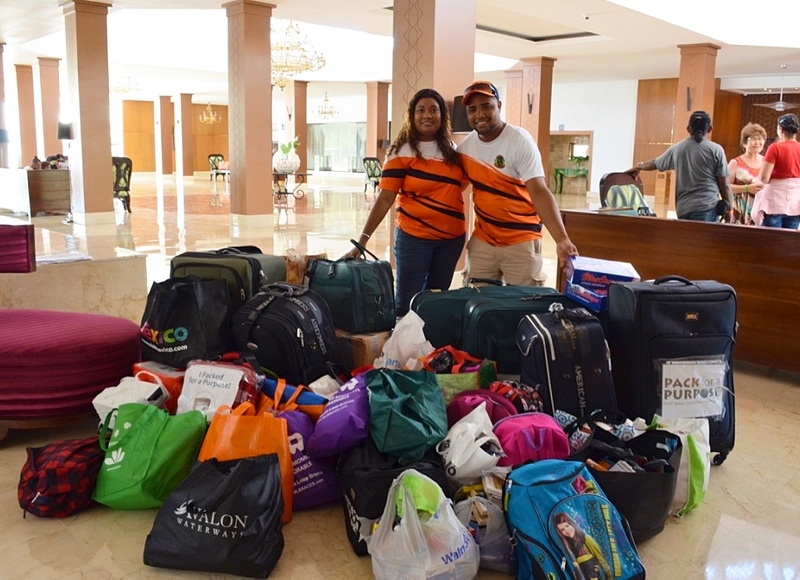 Outback Adventures Punta Cana was the tour operator responsible for picking up the supplies, and they were blown away by the amount of goods to collect. They arrived and managed to fit all the supplies into their SUV and plan to distribute them in the coming weeks. We are amazed at how much we can collect in a short amount of time. The little effort we made to collect supplies and bring with us on our travels will hopefully have a huge impact in the community. With such a small act and significant impact it can bring, I plan on Packing for a Purpose for future travels, and bringing it forth to clients if they choose to do so as well.